(This article is an outcome of a Red Hat Hackathon. Thanks to Jiri, Romain, Jochen, Thomas and Roland for contributing to it!). Quarkus is the new kid on the Java block. It leverages GraalVM (and Substrate) to create native executables which perfectly match micro services and serverless architectures. Think of golang native compiles: Super fast, low footprint. Actually Quarkus’ performance comes close to this of golang, which eliminates a big disadvantage of Java based services: In the space of serverless architectures they weren’t really suitable because of bootstrap and memory overhead. Up to now. 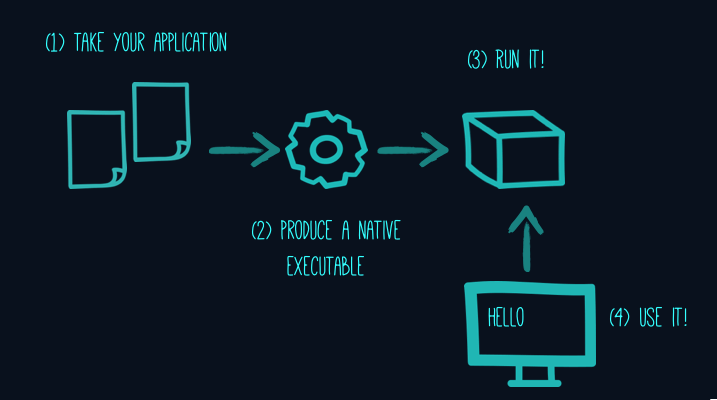 If you’re using OpenShift (which is despite the rumours I hear from way too many FUDders and OSS haters a certified Kubernetes distribution and, thus, fully compatible, but putting additional tools for enterprise environment), you might be looking for an easy way to create a native build. (Commit the changes to your source repo). Create a native Linux 64-bit (or else) executable. Put this executable into a container image. Deploy the container image to the container platform. Develop your Quarkus app (preferably Java, not native). Commit the changes to your source repo. 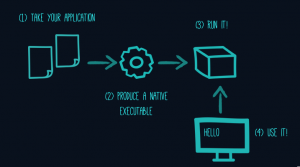 (Build the native app, the container image and deploy the image automatically on OpenShift). After a one time setup, step 3 can afterwards be performed automatically thanks to web hook build triggers. This will create a build config and trigger a build. As Quarkus native builds demand a lot of resources (CPU and memory), it’s not unlikely that your build will fail. …you can cancel the build. …and your build should run smoothly. If not, hack around with the resource parameters. Finally, you can set up the web hook(s) and build and deploy your native Quarkus image automatically whenver you commit. Enjoy! If you think demanding opinions'll bring you further with your own thinking, you're at the right place.